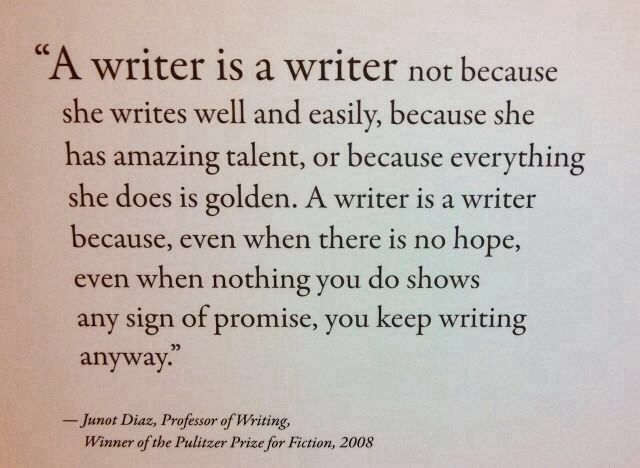 Here’s a quote and an interview with Junot Diaz about why we write. This is certainly motivation for me. It’s not about outward acceptance–though certainly that is nice. It’s about a deep-rooted need to write, to make sense of the world one story at a time.